Because the rains are coming we both got into the garden today for the first time this season. I tilled while Joanna worked to prepare the raised beds for some strawberry replacements. She has always refused to wear any kind of footwear while doing this sort of work. 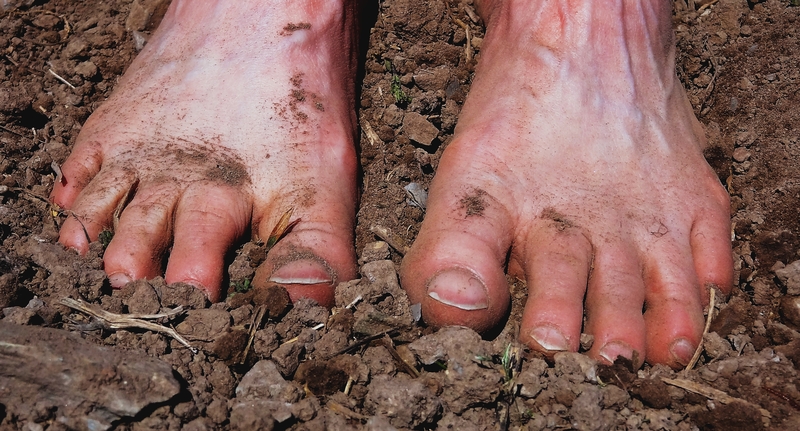 She says to wear shoes would be ” … an insult to the soil.” She likes the feel of soil between her toes; and don’t you ever let her catch you calling it dirt.